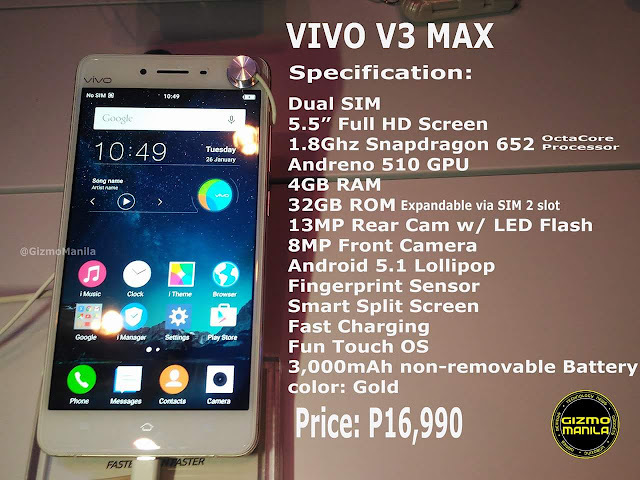 Home / android / android 5.1 / android lollipop / google / smartphone / vivo / vivo smartphone / vivo v3 max / Vivo V3 Max smartphone now in the philippine market. Vivo V3 Max smartphone now in the philippine market. Vivo, the global smartphone brand, today launched the V3 Max smartphone in the Philippines. 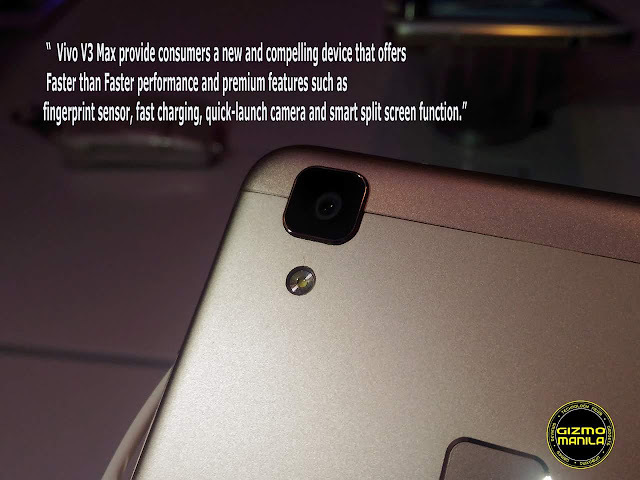 The Vivo V3 Max smartphone offers ‘Faster than Faster’ performance & premium features that provide users with enhanced experiences such as faster fingerprint unlocking, faster charging, quick-launch camera, and a smart split function. After being recently cited in IDC’s 1st quarter 2016 report as one of the top 5 global mobile phone manufacturers, Vivo’s launch in the Philippines with the V3 Max is poised to further propel the brand’s growth in the country. The V3 Max is crafted in a metallic body that is CNC machined to produce a textured finish to the frame. The V3 Max’s metal back is finished with zircon sand coating, and a 2.5D Corning Gorilla Glass 5.5” Full HD display is used up front, giving the phone a pleasant feel in the hand. Internally, the V3 Max is equipped with dual fast charging engines compatible with Qualcomm’s QC 2.0 international standard, ensuring compatibility with certified fast chargers in the market. 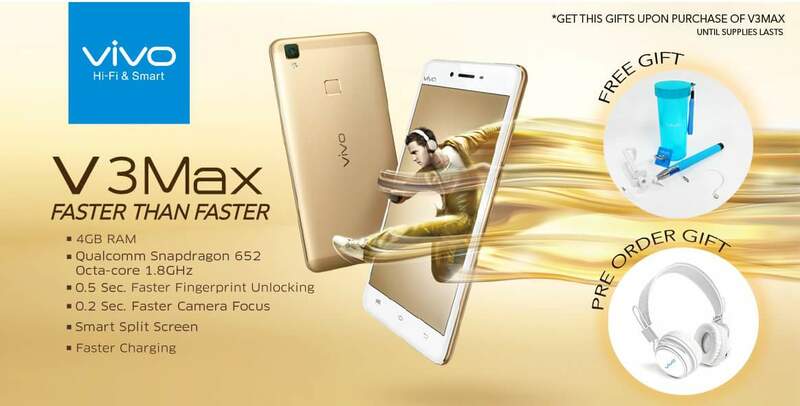 The V3 Max is also equipped with an innovative fingerprint scanner that allows users to unlock the phone in as little as 0.2 seconds from wake and 0.5 seconds in sleep mode. It also features a screen-split feature that allows users to multitask without having to exit their app. The phone is powered by the Qualcomm Snapdragon 652 Octa-core processor, and comes with 4GB or RAM and 32GB storage expandable via Micro SD Card up to 128GB. The V3 Max runs on Vivo’s official Funtouch OS 2.5 based on Android Lollipop 5.1. Customers who pre-order will receive a pair of Vivo headphones when they claim their smartphones on May 21. In addition, consumers who purchase the Vivo V3 Max nationwide will receive a Vivo tumbler, a Vivo selfie stick, Vivo stand ring, and an on-the-go USB cable, until supplies last. 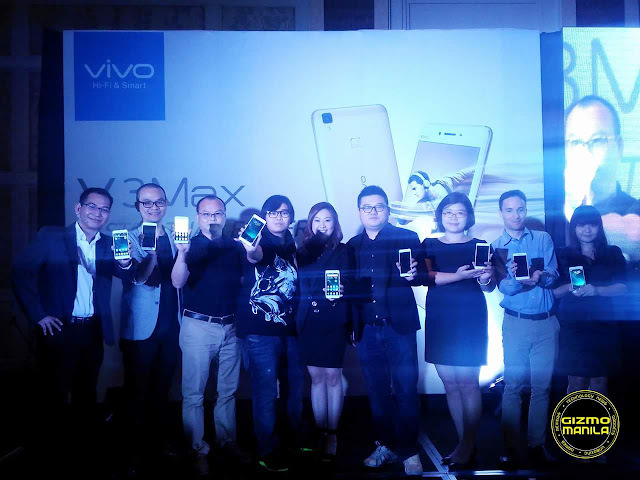 The Vivo V3 Max will be available in major retailers in Manila, Cebu, and Davao by May 22 for a suggested retail price of PHP 16,990.